Today Only – SanDisk Extreme Pro 128GB SDXC – $32, 512GB – $160 (New Lowest Price) ! Author adminPosted on March 31, 2019 March 31, 2019 Categories Sony Deals, Sony NewsTags Memory Card1 Comment on Today Only – SanDisk Extreme Pro 128GB SDXC – $32, 512GB – $160 (New Lowest Price) ! Today Only – Up to 30% Off on SanDisk Extreme Memory Cards at B&H Photo Video ! 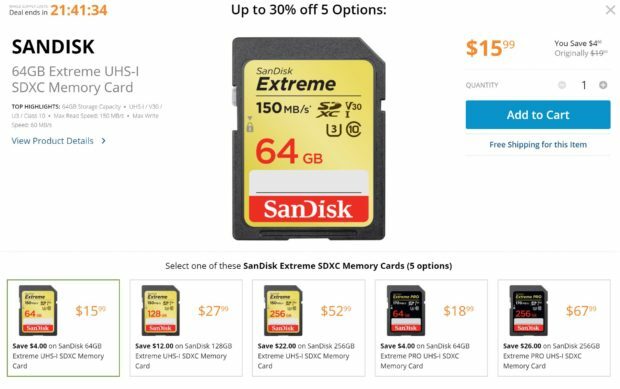 B&H Photo Video has today only deal on SanDisk Extreme SDXC memory cards, you can save up to 30% off on these SanDisk Extreme SDXC Memory Cards. All these SD cards are lowest price online ever. Author adminPosted on March 18, 2019 March 18, 2019 Categories Sony DealsTags Memory CardLeave a comment on Today Only – Up to 30% Off on SanDisk Extreme Memory Cards at B&H Photo Video ! Similar as Sony a7R III and a9, the new Sony a7 III (Amazon/B&H Photo/Adorama) has two SD memory card slots, one supports UHS-II SD memory cards. To max use of a7III, for example shooting 4K video with Sony a7 III, a fast card is a must. Otherwise, you’ll miss most of your shots waiting for the buffer to clear. So the best choice is to use the UHS-II SD memory cards. Currently, Sony, Lexar, Sandisk, Delkin produce UHS-II SD memory cards. 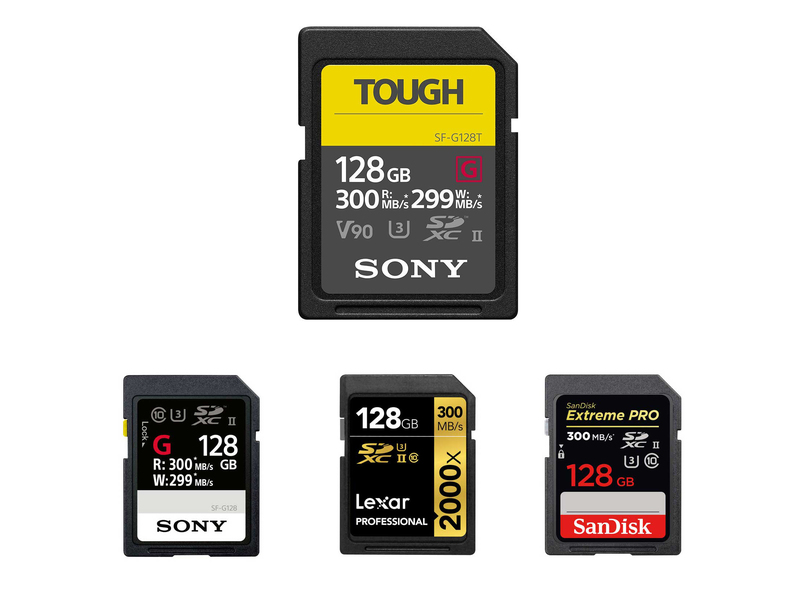 Below are a list of top recommended UHS-II SD memory cards for Sony a7 III full frame mirrorless camera. 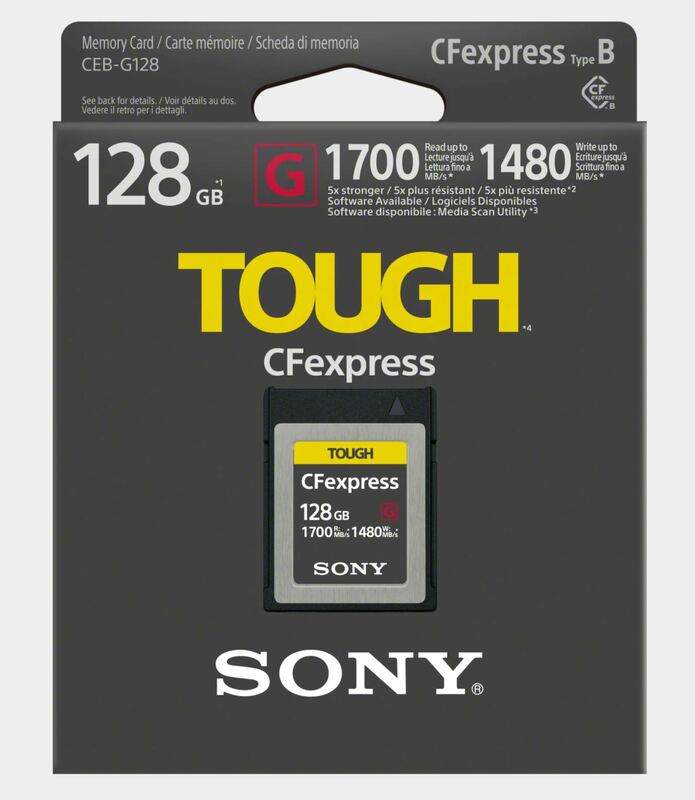 Up to 15% Off on Sony SF-G Tough Series UHS-II SD Memory Cards ! 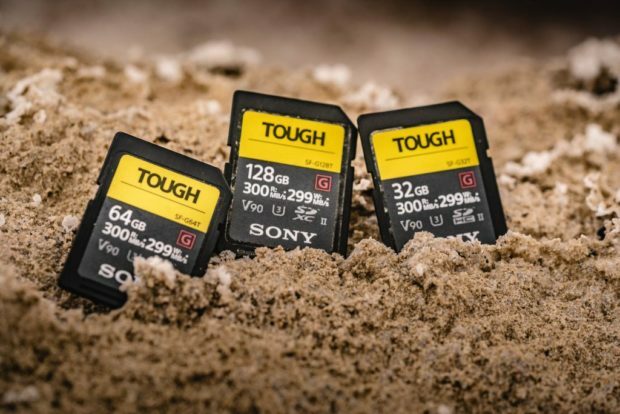 The world’s Fastest & Toughest SD cards Sony SF-G Tough UHS-II series now get up to 15% off at Amazon/B&H Photo Video/Adorama. These SD cards has max. read speed at 300MB/s, and max. write speed at 299MB/s. 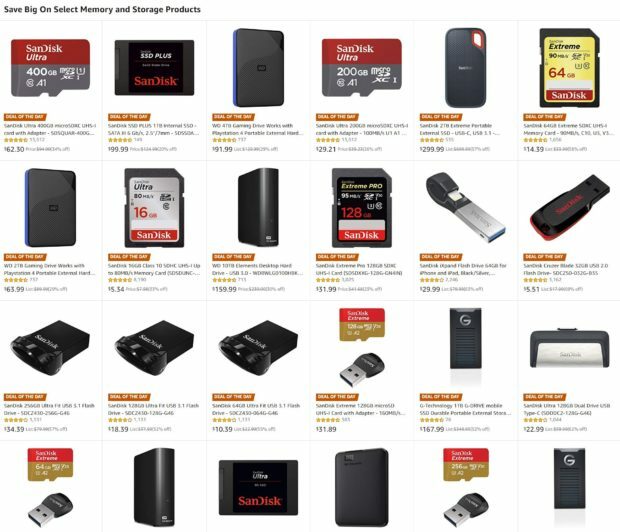 Author adminPosted on January 20, 2019 January 20, 2019 Categories Sony DealsTags Memory Card, Sony SF-G Tough UHS-II Memory CardLeave a comment on Up to 15% Off on Sony SF-G Tough Series UHS-II SD Memory Cards ! Lexar Announced World’s First 1TB 633X SDXC Card ! 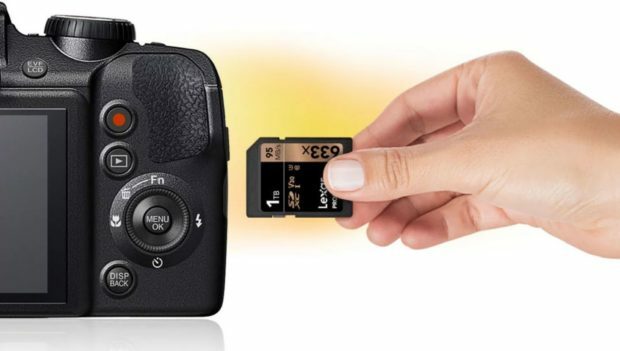 At CES 2019, Lexar has officially announced world’s first 1TB SDXC memory card. It is now available for pre-order at B&H Photo Video/Adorama for $399.99. Author adminPosted on January 10, 2019 January 10, 2019 Categories Sony NewsTags Lexar, Memory CardLeave a comment on Lexar Announced World’s First 1TB 633X SDXC Card !